Agility | TestLine Clinical Diagnostics s.r.o. 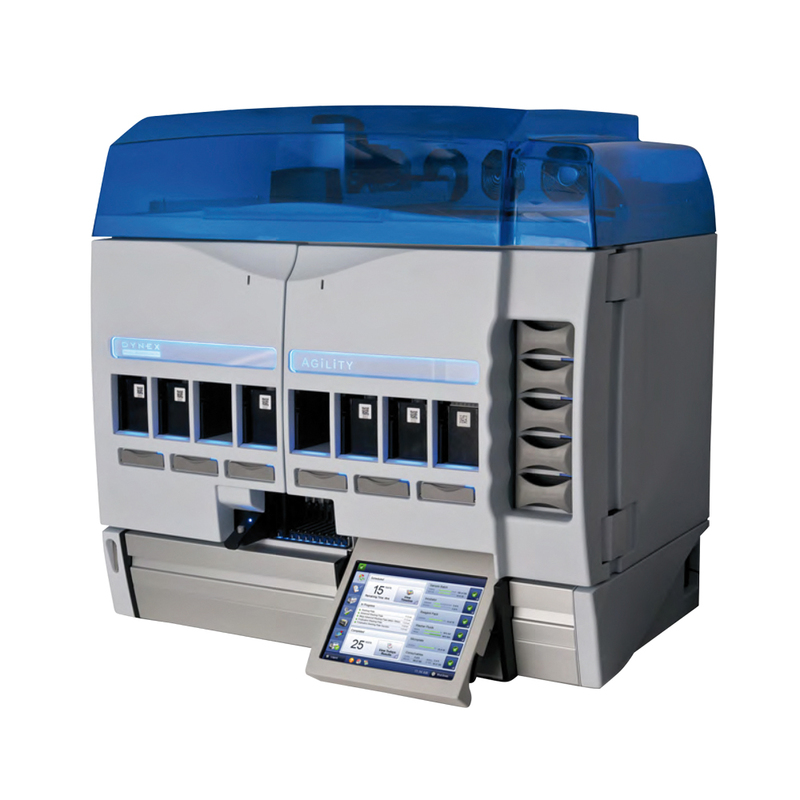 The new dimension of fully automated ELISA kits processor. · Fully automated processing eliminating all manual liquid-transfer steps. · Up to 16 SmartKits® carriers stored on-board for simultaneous runs. · Flexible throughput allows up to 12 plates on-board at once – the instrument utilizes three robotic arms to obtain maximum process efficiency. · Up to 200 sample tubes on-board with additional continuous load capability. · Comprehensive consumables and inventory monitoring system enabling continual reagents handling. · Automated kits’ barcodes scanning, automatic tube type recognition and automatic strip check. · All consumables for each assay are already prepackaged in the TestLine SmartKit® for the maximum user comfort and safety.